The outside of the Alphabet cone is smooth with reddish brown or orange to yellow spots in irregular shapes. 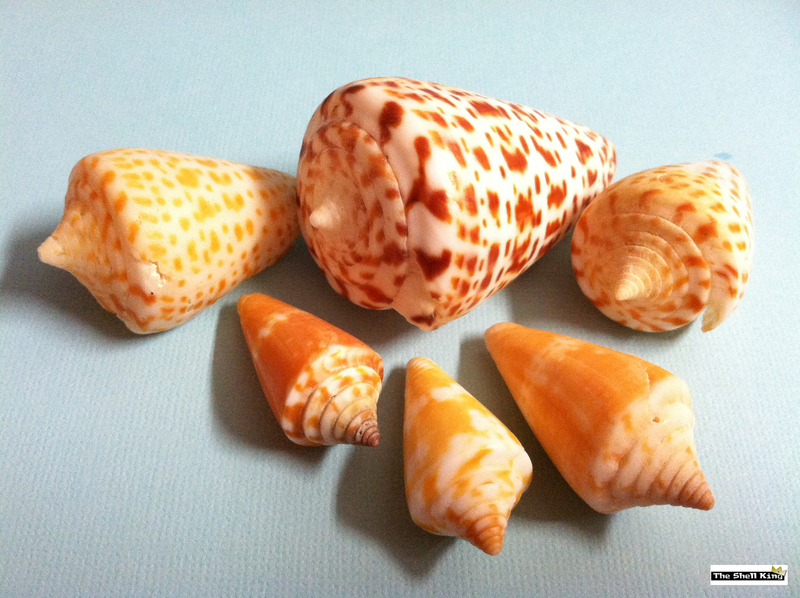 These shells are not exceptionally large and only grow to about 3 inches long, but they have the most interesting patterns on the outside of the shell. Be careful if you find a live one. They sting, and it hurts. Glad you found us, Sherri! Yep, the bottom three are Florida Cones. Its not common to find live cones here so close to shore where we normally pick them up, bit we’re always on our toes.